Nevada residents who have lost a loved one are most likely already aware that the funeral and burial is just the beginning of the work that needs to be undertaken. Typically, a probate proceeding will be needed in order to distribute the decedent’s property and pay any outstanding debts and taxes. Estate planning can help make this process easier for those left behind. Even so, a recent survey indicates that as much as 71 percent of adults age 34 and older in the United States do not have a will. Furthermore, around 40 percent of Baby Boomers still need an estate plan. A will is typically needed to distribute an individual’s property after death. Unless a trust has been established, the estate of a person who dies without a will is distributed according to state law; that may — or may not — be in accordance with what the decedent may have wanted. Depending on a Nevada resident’s circumstances, a will may not be enough to provide for loved ones the way he or she would like. A trust not only allows the individual to decide who receives certain property, but also to control how it is distributed. There are many reasons why this could be important. For instance, there could be minor children involved, a child with special needs or the beneficiary may simply not be able to handle a large inheritance all at once. Estate planning entails more than just wills and trusts, however. Other documents may be recommended. For instance, powers of attorney will allow a specified individual to handle any medical and/or financial decisions that need to be made if the person granting the power subsequently becomes incapacitated. 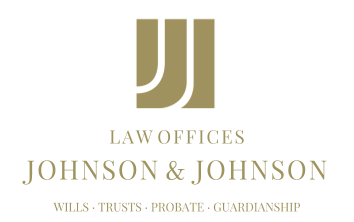 Someone looking to put together an estate plan would most likely benefit from the advice and assistance of an experienced probate and estate administration attorney.